From the age of sixteen, Bridgwater spent three years studying under the tutelage of Bernard Fleetwood-Walker at the Birmingham School of Art. After graduation, she attended art school in Oxford, paying for this phase of education herself by simultaneously working as a secretary. Unfortunately, information from this early period of Bridgwater's career is very sparse. It is known however, that 1936 was a pivotal and transformative year for the artist. She attended the London International Surrealist Exhibition, where she first met the most significant members of the Birmingham Surrealist group, including Conroy Maddox, and the Melville brothers, Robert and John. She was instantly enamored and felt at home with the principles of Surrealism, and set about immediately using automatist techniques to explore the illogical and dark side of the unconscious in her own work. Between 1936 and 1937 she remained in London and studied at the Grosvenor School of Modern Art. She then returned to Birmingham, where she exhibited alongside other members of the Birmingham Surrealists throughout the late 1930s. The Birmingham Surrealist Group was led by Conroy Maddox, and its members frequently met in the Kardomah Café on New Street or the Trocadero pub on Temple Street, then later on, in Maddox's own house in Balsall Heath. From the beginning, the Birmingham Surrealists (which included painters John and Robert Melville, William Gear, and Oscar Mellor, the poet Henry Reed, literary critic Stuart Gilbert and, later, painter and anthropologist Desmond Morris) were distinguished by their strong opposition to what they considered the "inauthentic" and even "anti-Surrealist" approach of the London Surrealists. As Robert Melville stated, "If London was trying to make a contribution, we were not interested". Conroy Maddox accused London Surrealists like Herbert Read, Henry Moore, and Graham Sutherland of being "too middle-class" and "purveyors of the picturesque". Thus, the Birmingham Surrealists preferred instead to associate themselves more directly with Parisian Surrealism, maintaining contact with André Breton, Max Ernst, and Salvador Dali. Bridgwater, however, did not share the same animosity towards the London Surrealists as her male colleagues. Although an official member of the Birmingham Surrealist Group, she also enlisted as a member of the London Group in 1940, and throughout the decade was involved with, and exhibited alongside both groups. Indeed, in this capacity, Bridgwater became an important link between the otherwise opposing groups. She developed a particularly strong friendship with the London based Surrealist Edith Rimmington, and the two women often employed similar symbolism within their works. Throughout the 1930s and 1940s, Bridgwater mainly produced paintings and ink drawings, frequently depicting birds - particularly swans, ravens, and hybrid bird-women - eggs, and leaves in dreamlike, yet depressive and haunting landscapes. Her works also incorporated tendril-like, writhing, and potentially dangerous (through entanglement) automatist lines. Toni de Renzio (editor in chief of the Surrealist magazine, Arson) poignantly described her works at the time; "We do not see these pictures. We hear their cries and are moved by them. Our own entrails are drawn painfully from us and twisted into the pictures whose significance we did not want to realise." 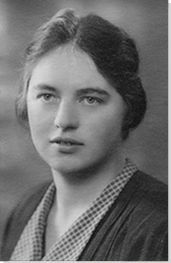 During the early 1940s, Bridgwater divided her time, and indeed her life, between west London (where she lived in a small apartment in Lancaster Gate), and Birmingham. She contributed prolifically to various Surrealist publications, including the Surrealist Magazine Arson, and had a short but intense affair with the magazine's editor, Toni de Renzio. This happened in 1942, the same life-changing year that also saw Bridgwater's first solo show being hosted by Jack Bilbo's Modern Gallery, London. In 1944, writing lots of poetry at this point, Bridgwater also contributed to the Surrealist periodical Fulcrum. In 1946, she contributed to Free Unions / Unions Libres, a Surrealist review edited by Simon Watson-Taylor, which, in its first and only edition, reproduced texts and images by British and French Surrealists alongside one another. This was the most productive period for both Bridgwater's art and writing. In 1947, Bridgwater was one of just five British artists (along with Eileen Agar and Leonora Carrington) selected by André Breton to participate in the Exposition Internationale du Surrealisme at the Galerie Maeght in Paris. This was the last major international Surrealist group exhibition. On this occasion, Bridgwater was even elected by the British Surrealists to travel to France to sign the declaration of the Surrealist group in England, thus reaffirming the group's allegiance to the principles of Surrealism, and confirming the importance of Bridgwater as an important member of that group. Upon returning to England after such a great experience, Bridgwater sadly found - tasked with caring for her aging mother and disabled sister - that she had less and less time to make art. In 1953, she stopped making art completely, and relocated to Stratford-upon-Avon to take on caretaking full-time. Following a widespread resurgence of interest in Surrealist women artists, the writings of both Leonora Carrington and Meret Oppenheim enjoyed international readership during the mid-1970s. As result, many other women who had not been involved in collective activities for years - including Agar, Colquhoun, and Bridgwater - took part in newly organized Surrealist groups. Indeed, Bridgwater resumed her artistic practice and worked, for a time, prolifically in collage. Unfortunately though, a decade later, in 1986, she stopped producing art again, and this time the halt was permanent. She spent her final years in a nursing home in Solihull, where she passed away in 1999. Bridgwater's path through Surrealism was rebellious, or at the very least, as arts professor Peter Stockwell of University of Nottingham, put it, "decentered". She pursued Surrealism in England rather than France, whilst maintaining important ties to the latter. She also refused to participate in the politics of animosity between the London and Birmingham Surrealist groups. Michel Remy, professor of art history at the University of Nice, glowingly describes her influence as "of the same importance to British surrealism as the arrival of Dalí in the ranks of the French surrealists". This seems a somewhat lofty claim given the examples of artwork that we have to go on for Bridgwater, but perhaps this is only because research remains fragmented and incomplete. As a woman in a male-dominated movement, Bridgwater (along with her fellow female Surrealists, and notably here, Edith Rimmington) incited what Stockwell refers to as "a counter-culture [...] Instead of their male counterparts' indulgent fantasied of 'Mad Love' [...], they resorted to asexual imagery, distancing themselves from the risk of mere objectification as women and creating instead a kaleidoscopic image of women also alienated, but alienated with a difference." Indeed, Bridgwater, like other female Surrealists, produced images of mythical narratives, hybrid and metamorphosing creatures, and deserted, wistful landscapes. As the journalist, Jeremy Jenkinson wrote in Bridgwater's obituary, "Her paintings show an ability to enter a personal dream world and transform the visions she experienced there into bold, unselfconscious, emotionally charged landscapes which more often than not strike into the very depths of one's mind. Using a limited palette and painting thickly, she was able to bring together seemingly unrelated objects which she used to fill desolate landscapes, giving the paintings a narrative quality of her own making". Along with the other female Surrealists, she gave the following generation of female artists the gift of role models and in turn, access to the notion that women are active art producers, not simply models tasked to provide inspiration for their male counter-parts. In this quick and automatic pen and ink drawing, Bridgwater includes one of her most typical motifs, the hybrid bird-woman. As in similar works, Stark Encounter shows figures in a state of metamorphosis against an empty backdrop. Robert Melville described Bridgwater's works as depicting "the saddening, half-seen 'presences' encountered by the artist on her journey through the labyrinths of good and evil [...] although they are dreamlike in their ambiguity they are realistic documents from a region of phantasmal hopes and murky desires where few stay to observe and fewer still remain clear-sighted." Furthermore, Jeremy Jenkinson says of her work "Her paintings, drawings and poems are places of organic fusion and painful gestation. No concession whatever is made to 'artistic good taste', whether classical or not. There is only instinct, and a primitive feeling for the metamorphoses at the origin of life; strange sequences of birds, eggs, eyes, little girls, open tombs, larvae and lianas in nondescript landscapes." The bird motif is also extensively investigated by Remedios Varo, Leonora Carrington, and Edith Rimmington. Furthermore, even outside the powerful women's circle within this movement, Max Ernst was famous for depicting himself with birdlike features and for revealing his alter ego, Loplop, to be half man, and half bird. Indeed, the bird, throughout the Surrealist movement, signifies a desire for flight and freedom, but at the same time confirms (with a regretful tinge of melancholy) that humans are earth bound. The motif of the bird does many things; it also links the majestic heavens with daily existence, and suggests a time linkage between the ancient of days and those of now. Interestingly though, in this work by Bridgwater it appears that the female in the image is not metamorphosing voluntarily into a bird, but is instead being abducted and forced in some way to comply. Sadly, there is always a sense in the work of Bridgwater that freedom comes at a price, that she is writhing in struggle as her own transformation takes place.